As a parent, you work hard to give your children healthy and happy lives. You want to protect them from danger, shield them from pain, and help them succeed in life. It’s therefore normal to worry that your teen may be abusing alcohol and drugs. In fact, it’s great that you are concerned. Adolescent substance abuse needs to be identified and treated as soon as possible. If your teen has a substance abuse problem, they are going to need you to step up and play a key role in the recovery process. Addiction is a disease that affects the entire family, but substance abuse treatment can help the family heal and even become stronger than before. There are millions of American adolescents who could benefit from substance abuse treatment. Teenagers’ brains are still developing. The part of the brain responsible for making decisions and controlling impulses, called the prefrontal cortex, does not fully develop until people are in their mid-20s.3 As a result, teens may be more at risk of making poor decisions when it comes to substance use. Parents of teenagers must commit to prevention strategies and be vigilant for the signs of a substance abuse problem. Developing strong communication skills: Show your teen that you can be calm and understanding, that you are present and tuned in, and that you can listen with respect. Encouraging positive behavior: Consistent, daily encouragement helps teens build confidence, creativity, and passion for new activities. Setting a good example: Be a model of positive behaviors, healthy habits, and emotional health. Negotiating emotional conflicts: Try to stay calm and work with your teen to solve problems, make changes, and promote cooperation. Setting limits and boundaries: Setting reasonable limits and guidelines helps show your teen that you care while establishing safe boundaries. Knowing your child’s friends: Get involved in your child’s life. Observe your teen interacting with his or her friends. Paying attention helps encourage open communication about risky behaviors like substance abuse and sexual activity. No matter how hard you try to prevent it, there is no way to guarantee that your child won’t develop a substance use problem. If you have already seen signs of substance abuse or addiction, do not blame yourself. It is not your fault that your child has been using drugs, but it is your responsibility to seek immediate treatment. Treatment can help your entire family recover from the impact of addiction. It is often said that addiction is a family disease. That’s because addiction can throw an entire household into turmoil. Substance abusing teens often withdraw from parents and siblings, act out, pick fights, and thoroughly disrupt the normal household routine. This can lead to hurt feelings and anger. There might also be disciplinary issues or problems at school. One parent might be in denial, while another might be afraid. When parents are fearful for the safety and future of their children, it is not unusual for them to take it out on one another. Addiction can quickly turn a happy household into a hotbed of stress and despair. Intense stress can have many serious consequences. Your other children might feel ignored or angry. When children sense tension in the household it can lead to poor academic performance and disciplinary problems. Parents may often develop codependent behaviors. Codependency is a term that means you are overly concerned with the problems of someone else, while failing to attend to your own needs and desires. Codependent parents inadvertently enable their children’s substance abuse by making excuses for them or fixing their mistakes. Addiction takes the worst toll on families with violence in the household. An addiction in the family puts everyone under a great deal of stress. In some families, high stress levels trigger violent episodes. This can include physical or mental abuse; some children even act violently against their parents. Violence is a very unhealthy way of coping with stress and a clear sign that the family needs professional therapy. Even if you are unsure whether your teen’s substance abuse has escalated to addiction, it is still critical to intervene as quickly as possible. It is never too early for someone to get treatment. There are many treatment options out there, but no single one works best for every teen or every family. Individual counseling and family therapy are both good options for teenagers. Therapists use techniques like cognitive behavioral therapy (CBT), which helps teens identify and change negative patterns of behavior, and contingency management, which provides incentives for positive behaviors. The ways in which the family manages conflicts. How the family communicates their feelings and needs to one another. How parents set and enforce rules. 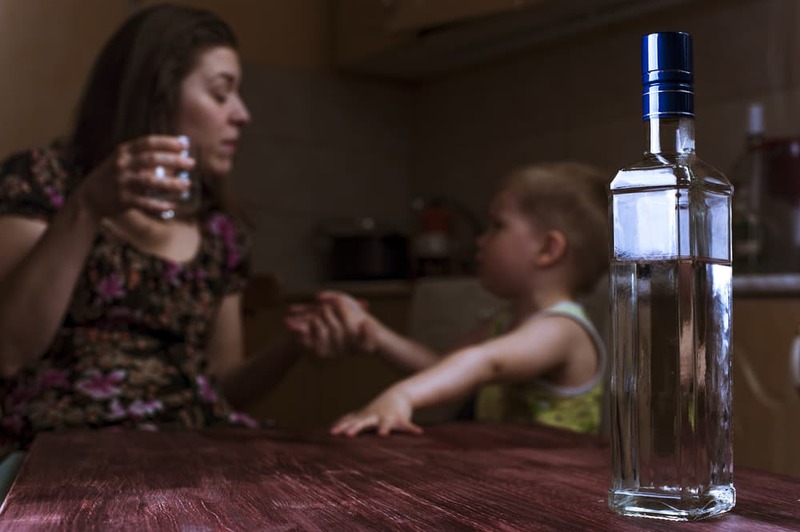 Family-based substance abuse treatment for adolescents typically takes place on an outpatient basis, but there are more intensive options available, as well. The important thing is that the family collectively commits to the teen’s recovery. This means helping teenagers once they return home from treatment with everything from scheduling appointments to encouraging new lifestyle changes. Brief strategic family therapy (BSFT): BSFT approaches adolescent substance abuse problems as issues that stem from unhealthy family interactions. With this approach, you and your family work with a BSFT counselor over the course of 12–16 weeks. The counselor develops a relationship with each individual family member and observes how they interact with each other. The counselor helps you identify negative patterns and make positive changes. Family behavior therapy (FBT): FBT uses a combination of behavioral contracts and contingency management, a rewards-based approach to addiction treatment. The teen earns rewards for staying sober, attending addiction treatment, and other positive behavior changes. At least 1 parent attends sessions to establish and review goals. Functional family therapy (FFT): FFT uses behavioral techniques to improve communication, problem-solving, and conflict resolution within the family. Parents may be educated about successful disciplinary techniques. Multidimensional family therapy (MDFT): MDFT is an addiction treatment approach that involves both the family and the community, and is best suited for teens who have both substance abuse problems and behavioral problems, like conduct disorder. The objective is to help the family and teen navigate other systems, like the school or juvenile justice system. Multisystemic therapy (MST): MST has effectively treated teens with severe substance abuse disorders and those who engage in delinquency or violent behavior. This approach views the teen’s substance abuse through the lens of his or her situation, including personality, family problems, peer pressure, problems at school, and neighborhood subculture. Asking for help from a professional is an important first step. Too many teens go without the treatment they need because parents are hesitant to send their children into treatment. You can start by taking your teen to your family physician. Ask your physician in advance to screen for signs of substance abuse problems. You can also go directly to an addiction specialist or psychologist. There are 3,500 board-certified physicians who specialize in addiction in the United States. You can search the physician directory on the American Society of Addiction Medicine website. You can also find physicians who specialize in treating adolescents and young adults. The American Academy of Child & Adolescent Psychiatry has a Child and Adolescent Psychiatrist Finder on its website. The Substance Abuse and Mental Health Services Administration (SAMHSA) also has a searchable Behavioral Health Treatment Services Locator on its website. Or you can call the 24-hour national helpline at 1-800-662-4357 (HELP) for information and referrals. Finding substance abuse treatment for your teen is only the beginning of your journey. You will have choices to make about how involved in treatment you want to be. You should also consider your own willingness to change. Family-based therapy often encourages all family members to modify negative behaviors. It is important to remember that addiction is a chronic, relapsing disease. Setbacks can be frustrating, but they are part of the process. It helps to have support from people who have navigated these waters before. Al-Anon: Al-Anon is a group for family members of people with alcohol problems. Family members of all ages meet to share their experiences. Nar-Anon: Nar-Anon is a group for family members of people with drug problems. It is a 12-step program for people of all ages where you can learn from other families dealing with addiction. Addiction has a negative impact on the whole family. It leads to fights, stress, and tension in the home. Addiction treatment, however, should have a positive impact on your family. It should lead to more open and honest communication, better conflict resolution, and healthier behaviors. Taking an active role in your teen’s substance abuse treatment will be hard work, but it will make your family stronger and healthier. Johnston, L., O’Malley, P., Miech, R., et. al. (2017). Monitoring the Future National Survey Results on Drug Use, 1975-2016: Overview, Key Findings on Adolescent Drug Use. Ann Arbor: Institute for Social Research, The University of Michigan. Center for Behavioral Health Statistics and Quality. (2016). Key Substance Use and Mental Health Indicators in the United States: Results from the 2015 National Survey on Drug Use and Health. Substance Abuse and Mental Health Services Administration, Rockville, MD. National Institute on Drug Addiction. (2014). Principles of Adolescent Substance Use Disorder Treatment: A Research-Based Guide. National Institute on Drug Addiction. (2015). Family Check Up: Positive Parenting Prevents Drug Abuse. Hogue, A. & Liddle, H. (2009). Family-Based Treatment for Adolescent Substance Abuse: Controlled Trials and New Horizons in Services Research. Journal of Family Therapy, 31(2), 126–154. Center for Substance Abuse Treatment. (2004). Treatment Improvement Protocol (TIP) Series, No. 39. Chapter 2: Impact of Substance Abuse on Families.